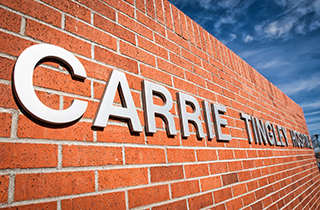 Pediatric orthopaedics patients are seen at UNM's Carrie Tingley Hospital (CTH). For more than 60 years, CTH has provided care for children and adolescents with musculoskeletal problems, postoperative rehabilitation, and disabilities. Our physicians are the only ones in New Mexico who treat scoliosis (curvature of the spine) patients. Our physicians are expert orthopedists who provide consultations locally and throughout New Mexico. Our outreach program participates in approximated 40 clinics per year including Las Cruces, Roswell, Farmington, Hobbs, Clovis, Santa Fe, and Silver City. This program allows patients to be examined close to home and evaluated for continued care as needed. The Orthotics and Seating teams are available to provide services such as brace fitting or wheelchair adjustments. For pediatric orthopaedics scheduling, please call: 505-272-4511. Carrie Tingley Hospital is located off the UNM Hospital campus at 1127 University Blvd. NE, Albuquerque, NM 87102. Office hours are 8:30am to 4:30pm weekdays. For city bus routes to UNM Hospitals, choose the "Medical Facilities" option under "Destinations" on the ABQ Ride website's ride planner.